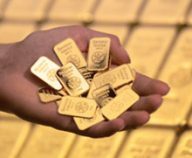 Gold Bars Worldwide | Information service for gold industry and gold investors. Covers more than 1,000 gold bars and 50 major gold refiners. 140 supplements and five books by Nigel Desebrock. Gold Bars Worldwide was established in 2007 to support the promotion of gold worldwide. Although no longer updated, it remains an important source of information on widely-traded gold bars and the world’s leading gold refiners. For dealers, investors, fabricators, refiners, mining companies, central banks, associations and others with an interest in the international gold market. In addition, the site offers extensive information on the world’s leading gold bullion coins from their respective launches until 2014. The site contains 140 sections and supplements published over a period of eight years until its suspension in 2014. In 2011, the London Bullion Market Association (LBMA) published a Bibliography that contained a “crème de la crème list of important books”, relating to precious metals. Nigel’s four books below were included in the LBMA Bibliography. To obtain further information and access the books, click here. Major manufacturer of gold bars for the Chinese market. An introduction to Shanghai Good Delivery gold ingots and bars. New range of minted gold investment bars. The first refiner in India to issue London Good Delivery gold bars. Mints British gold sovereigns for the Indian market under licence from The Royal Mint. Features 57 x 400 oz gold bars from 21 countries. Annual update. New manufacturer of London Good Delivery gold bars. A handbook on kilobars for the international gold market. Annual update. Supplements on national bullion coins all updated to include 2013 sales/mintage statistics, broken down by size of coin. Turkey has been the world’s leading manufacturer of gold bullion coins in most years since 2000. Gold bars for the European market. Degussa (Germany) is the new Custodian of The Industry Collection of Gold Bars Worldwide. Bank’s online service for gold investors. Manufactures tamper-proof security packaging for minted gold bars. The largest gold producer in China. Manufacturer of London Good Delivery gold bars. Commemorating the 20th anniversary of gold kinebars®. “Green Gold” bars contain traceable gold. Gold ATMs that offer gold bars. An international initiative of Ex Oriente Lux AG. Manufacturer of Dubai Good Delivery gold bars. Oldest established gold refiner and bar manufacturer in China. The largest bank in China. Services gold bar investors through 7,000 branches. Innovative 50 g minted gold bar offers option to detach 50 x 1 g bars. Accredited 5 tael gold bars bear the official stamp of the Chinese Gold & Silver Exchange Society. Preserving the historical information on this site. If a trade association should wish to purchase and relaunch the Gold Bars Worldwide website, click here to see the Prospectus. In recent years, worldwide demand for gold investment bars has surged.